The Cleveland Way National Trail offers a fine walk around the North York Moors National Park, enjoying scenery that includes the open heather moorlands, gentle dales, interesting towns and villages, and dramatic cliff coastline. 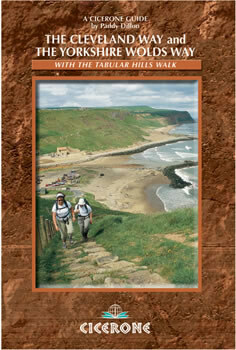 The Link through the Tabular Hills Walk is a Regional Trail that allows walkers to close the loop of the Cleveland Way and transform it into an enormous circular walk. The Yorkshire Wolds Way, one of the quietest of Britain`s National Trails, wanders through gentle, cultivated and sparsely populated countryside. It links end-to-end with the Cleveland Way on the coast, so that walkers who wander from trail to trail can cover over 400km (250 miles) of easy and enjoyable walking in the beautiful Yorkshire countryside.